Glass infill panels for balustrading can be installed using different techniques. 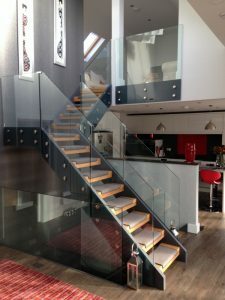 Northfield Glass can provide solutions for most architectural visions. 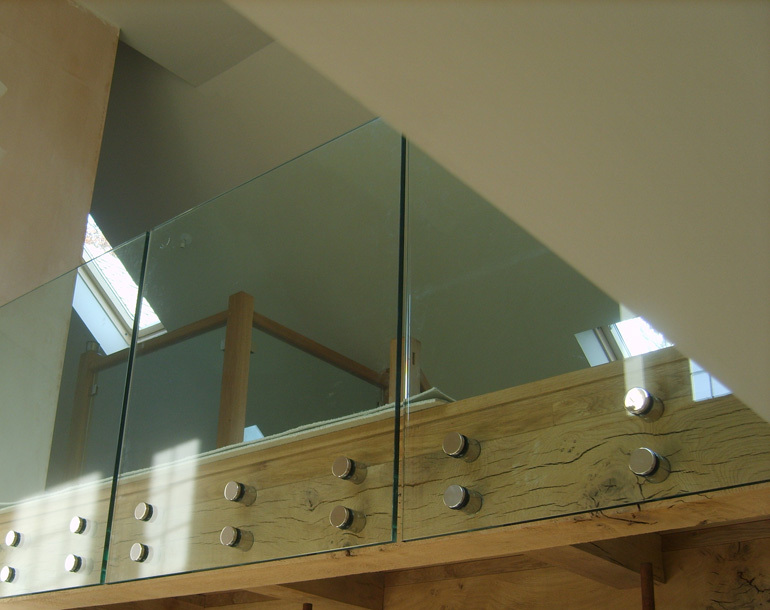 Along with the options displayed below, Northfield Glass can offer a range of bespoke solutions tailor made to your ideas. Northfield Glass Centre Ltd. are able to supply an extensive range of components for you to create your designer luxury balustrading in your home or workplace. 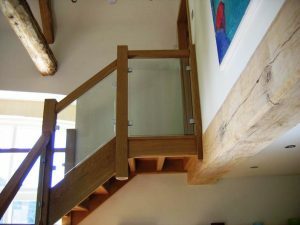 Glass balustrades can be used on staircases, balconies, dividing partitions and terracing; being suitable for both indoor and dramatic outdoor settings. 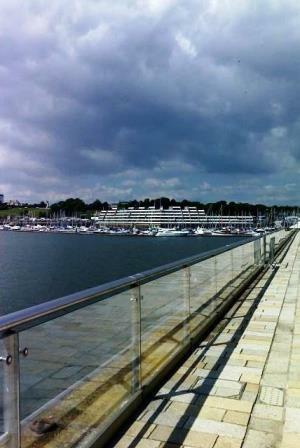 Glass balustrades can provide the reassurance of effective safety barriers without spoiling your views. 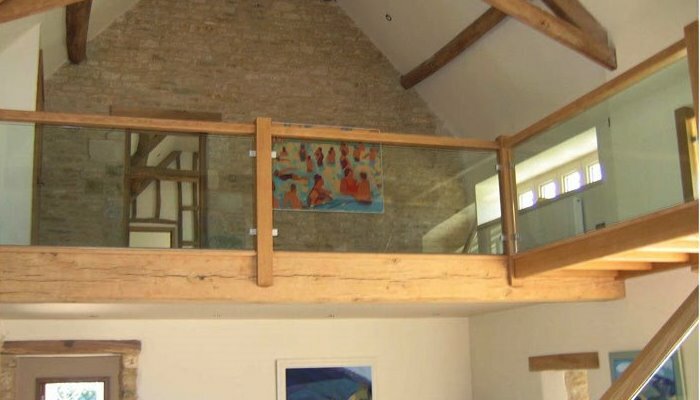 Northfield Glass can supply cut glass panels with a clamp system that allows the flexibility of installing glass infill panels into pre-existing posts. The clamps simply fasten to the posts, allowing you to then clamp the glass into place with minimum disruption or mess. 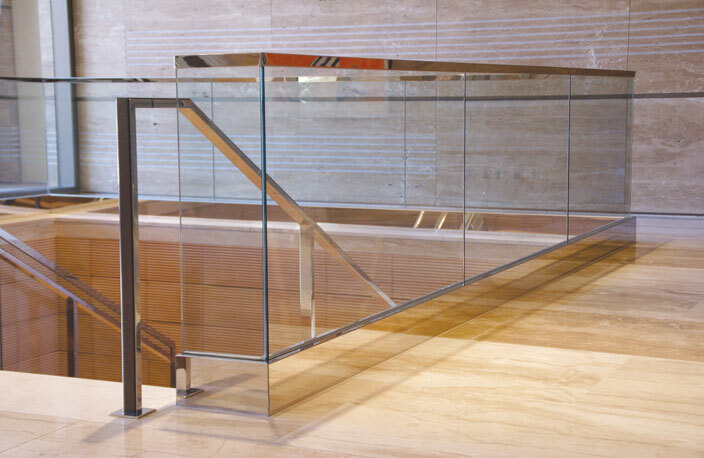 Suitable for a range of glass thicknesses depending on regulations. 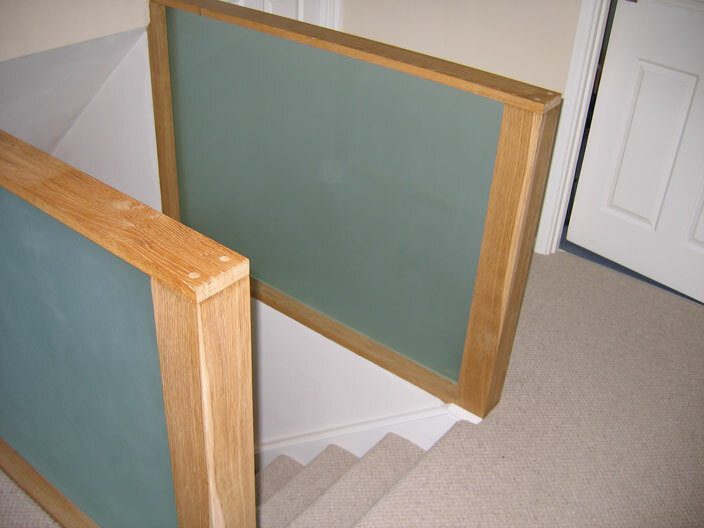 Standoffs are an excellent fixing system for face fixing balcony and balustrade glass giving a modern contemporary appearance. Frameless balconies, staircases and balustrades can be installed with the right specification glass face-fixed with standoff fixings. A bottom rail fixing system that can be installed below the finished floor level or on top of the existing floor surface. This system lends itself to clean lines and seamless joints for stairs, balconies, and decking. The sea-shore, extreme example, above right, combines dry wedge with post and clamp. See classic dry wedge examples below. This Rebate system is perfect for installations with new timber posts, giving a clean fixing free image. Simply have a rebated groove in the post then slide the glass down into the groove.